Himachal Pradesh is beautiful place situated in the Western Himalayas or this place is also called for “Mini Switzerland”. It is famous for abundant natural beauty. It is a state of Northern India and spread over 21,495 sq mi. It is also known for famous as a tourist place around India. It is divided in 12 districts like as Shimla, Solan, Kullu, Kinnaur, Sirmour, Lahual and Spiti, Chamba, Una, Bilaspur, Mandi, Hamirpur and Kangra. In this state flow five rivers such as Yamuna, Satluj, Beas, Ravi and Chenab. Many languages are spoken in this state such as Hindi, Pahari, Dhogri, Mandeali Kangri, Mandyali, Gojri and Kinnauri. Hill Stations: All the cities are mainly known for Hill Stations. 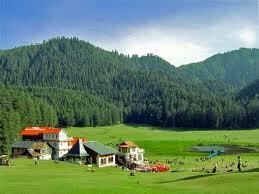 Shimla is the Queen and capital of Himachal Pradesh and their surroundings areas are very ambiance and picturesque. Manali, Kullu, Kufri, Dalhousie, Dharamshala, Chamba for an amazing holiday experience. Winter Sports: The most famous destinations Kufri, Manali and Narkand for enjoying skiing. Hattu Peak and Rohtang pass are also known for winter sports. Heli skiing is the most popular upcoming winter sport that can be enjoyed at Hanuman Tibba, Rohtang Pass, Deo Tibba and Chanderkhani Pass near Manali. Watersports - Himachal is also known for the places where you can rafting, angling, kayaking and canoeing. It is cover in Maharana Pratap Sagar reservoir in Kangra, river Chandrabhaga (Chenab), river Satluj, river Ravi Near Chamba and streams near river Chandrabhaga (Chenab) are best of angling, Gobind Sagar near Bilaspur, Chamera Lake near Dalhousie, Manali-Kullu National Highway, Ravi near Chamba and the Beas near Kullu are places where white water rafting can be enjoyed. As you have providing nice information here about Himachal Vision. This is very nice blog and very well managed also. Many Thanks for sharing this valuable information. Hope visit again...!